A potent blend of active charcoal and oxygen, this mask foams cleverly to thoroughly cleanse pores, absorbing trapped dirt, blackheads and whiteheads. Exfoliating and hydrating – to maintain your skin’s delicate moisture balance – this will leave your complexion bright and smooth as well as clear. 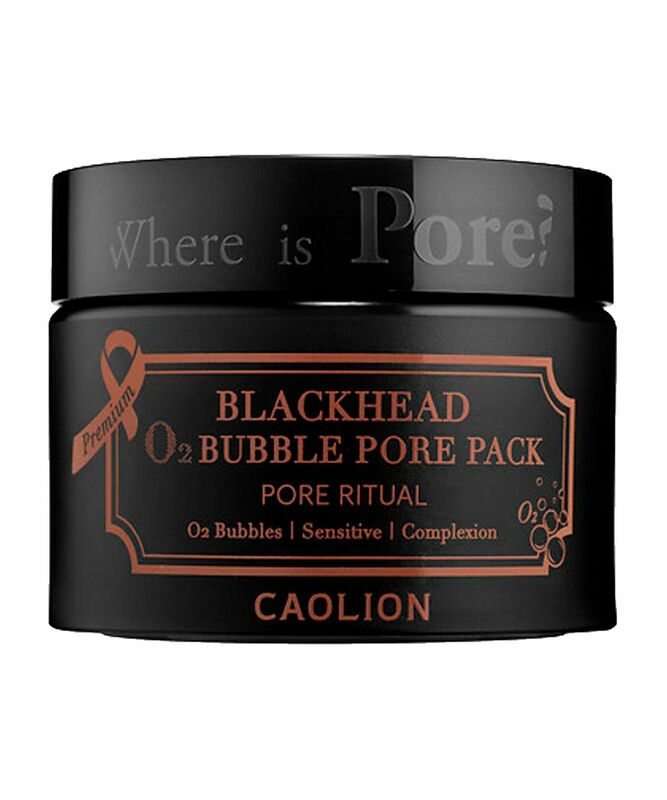 Potent and purifying, Caolion’s Blackhead O2 Bubble Pore Pack is powered by active charcoal and oxygen, which work together to froth up and deeply cleanse skin. 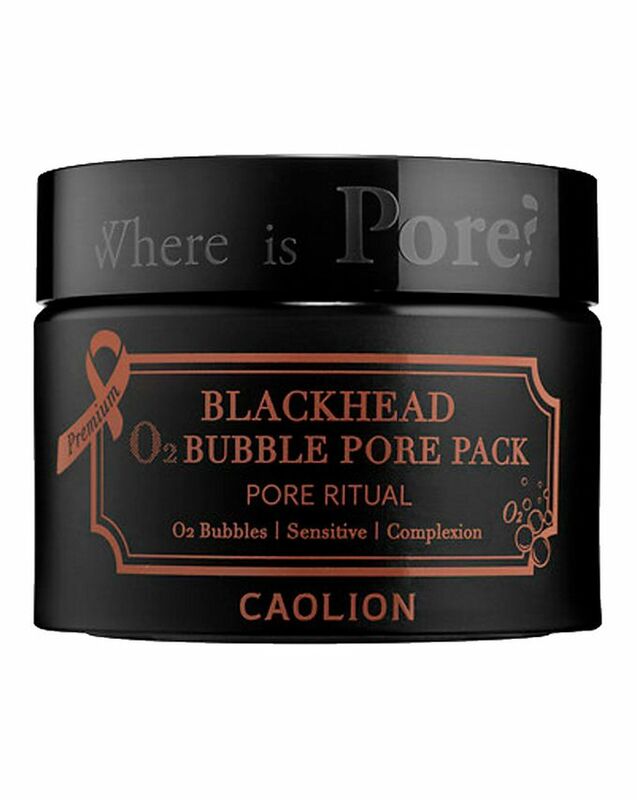 Penetrating pores, the formula removes trapped dirt, impurities, whiteheads and blackheads, giving skin a more even, refined appearance. Hydrating as it exfoliates with small beads (that buff away dead skin cells to enhance luminosity) this does-it-all miracle mask will leave your complexion brighter, smoother and moisturised. One simple step from dull and rough to bright and smooth – and all in under 15 minutes. Cleanse face thoroughly and pat dry. Apply a grape-sized amount of product in an even layer all over the face while gently massaging into skin. Leave on for a few minutes until your face is covered in a frothy expanse of tiny bubbles. Massage the product into your skin again. Wait another five or so minutes then rinse off with cool to lukewarm water. It's delicate cleansing mask. Skin feels and looks clean, not irritated or dry (I have dry sensitive skin). But it helpful only with mild clogged pores, which isn't my case anyway, just keep it in mind. Recommend. My skin was quite terrible because of acne, and this mask really saved my life: after a few applications, my skin started looking way better, I no longer had blackheads or big pores. It is also very delicate, because it removes the dirt without making the skin dry or irritated. It's also super easy and fast to use, I higly recommend it! I never really use these kind of face masks because I have really dry sensitive skin. But I felt my skin just wasn’t feeling it’s best so wanted to give this a go. It’s left my skin feeling so clean and hasn’t left it feeling irritated or dry. My nose feels so smooth as well. Impressed!